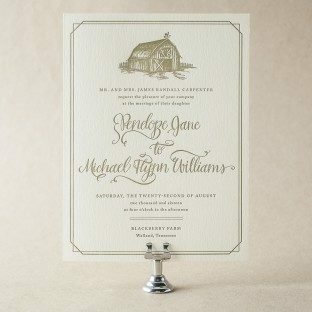 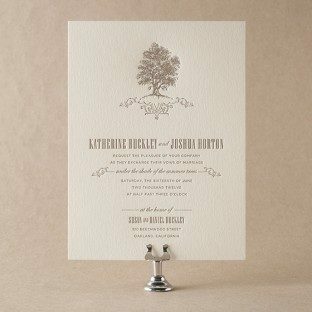 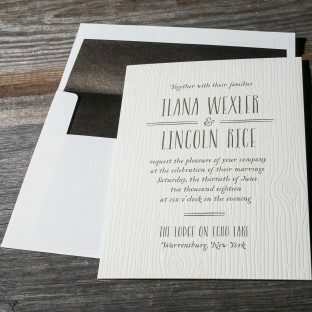 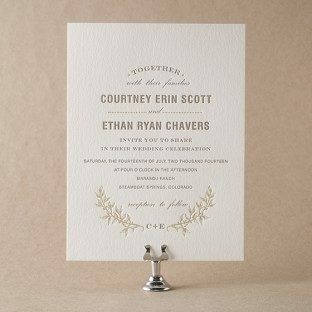 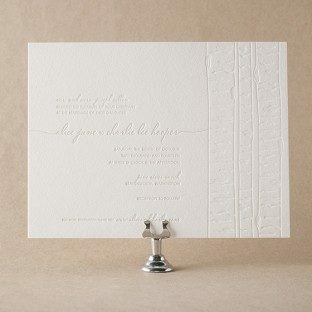 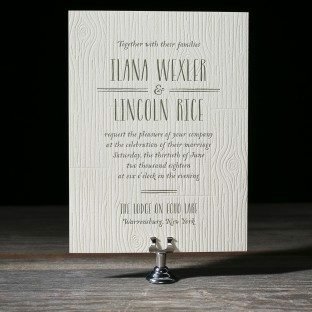 Set the tone for a rustic wedding celebration with Heartwood letterpress wedding invitations. 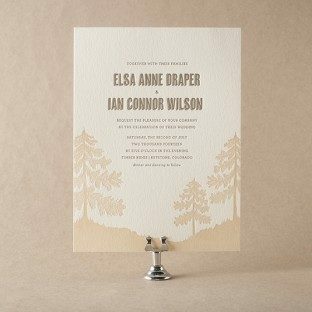 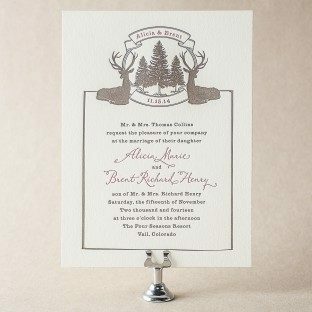 Inspired by the outdoors, these invitations feature a hand illustrated woodgrain background and modern fonts in Cream and Hunter inks on our ivory Bella Cotton paper. 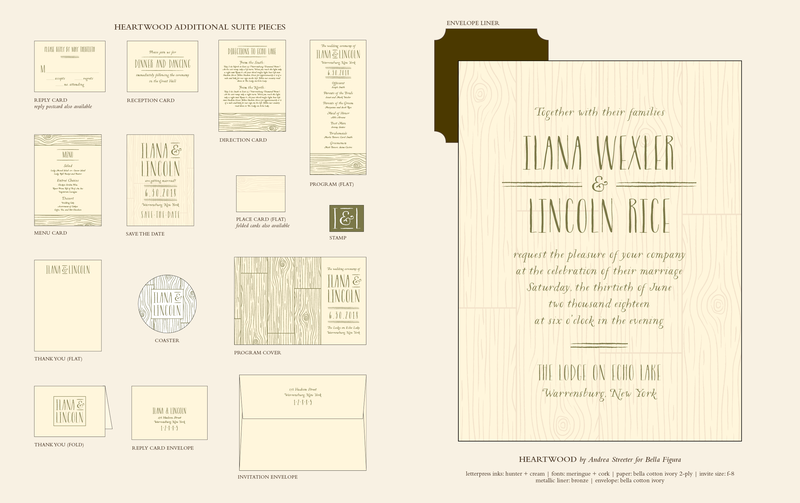 View additional pieces in the Heartwood sample suite.